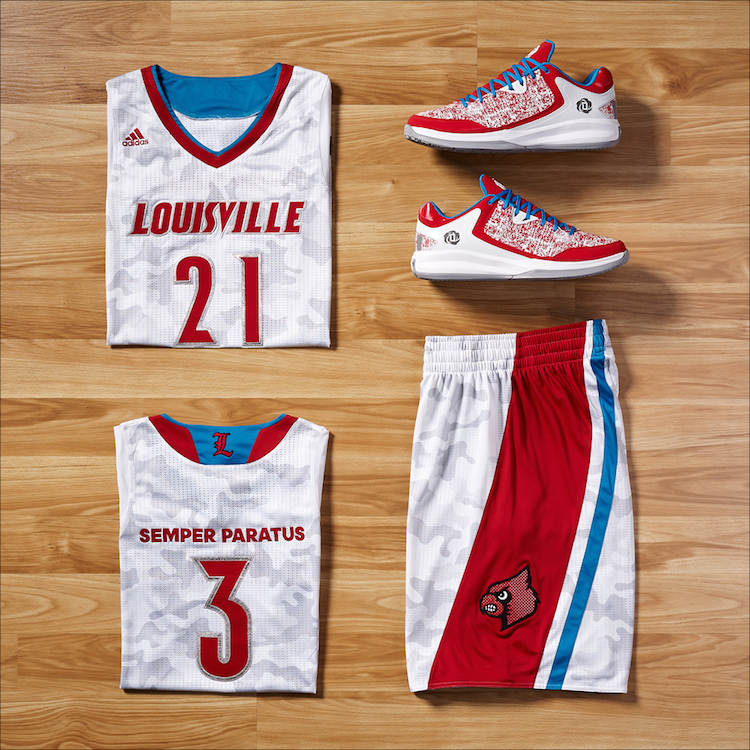 The uniform also includes custom editions of the D Rose 773 III and D Rose Englewood III done-up in a Louisville red camouflage pattern with blue laces. The Cardinals’ mantra “L1C4″ (Louisville First, Cards Forever) is stitched into the heel. 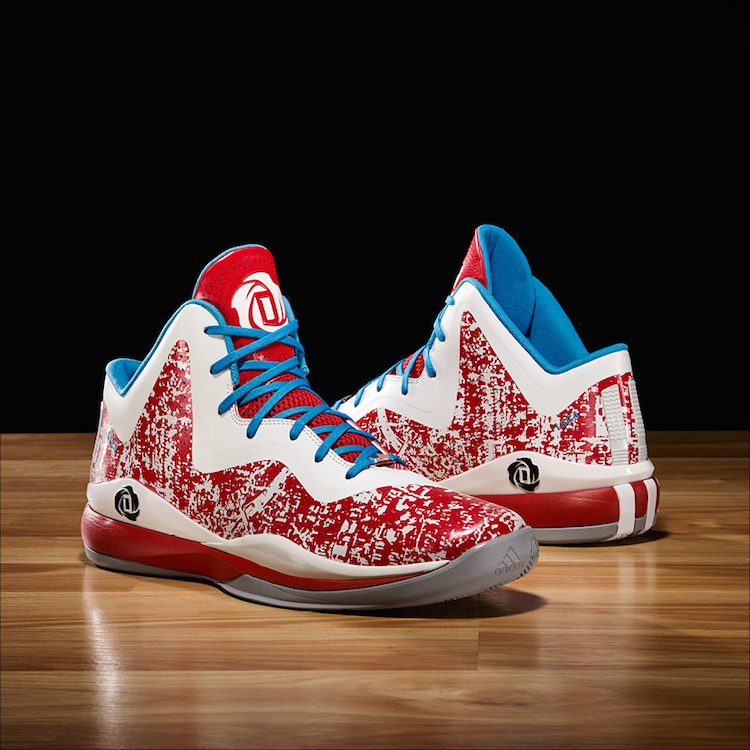 Beginning tomorrow, fans can get their own versions of the Armed Forces Classic D Rose 773 III at miadidas.com.